3 Beat are pleased to introduce their hottest new signing, Jodie Connor. UK starlet Jodie Connor is already a hugely established artist and rose to fame in 2010 after featuring as the vocalist & co-writer for the number 1 smash hit by Roll Deep ‘Good Times’. Jodie then went on to further chart success under her own name with ‘Now or Never’ featuring Wiley which charted at number 14 & ‘Bring It’ featuring Tinchy Stryder which charted at number 11. Since then Jodie has spent lots of time between Los Angeles and New York working in the studio with Roc Nation writers Makeba Riddck (Beyonce/Rihanna) and James Fontalroy (Chris Brown/Leona Lewis) in preparation for her debut album, which with feature ‘Take You There’. Jodie Connor is now signed to 3 Beat, the label that has given you, Sway, Skepta, Martin Solveig, Alyssa Reid, Alexandra Stan, Inna, Duck Sauce, Afrojack & many more. 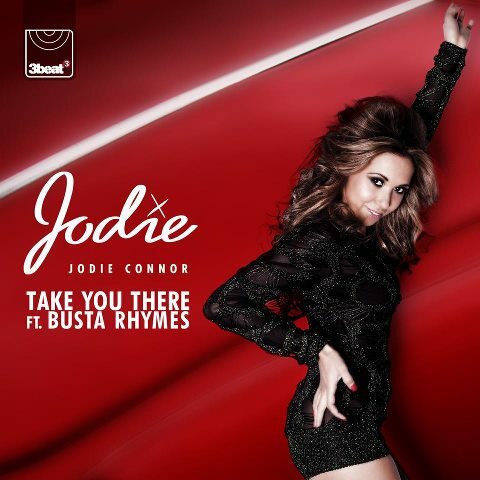 And with ‘Take You There’ featuring Jodie’s impressive vocals, infectious lyrics, catchy riff and the megastar Busta Rhymes doing a rare feature, this looks set to keep dancefloors across the country alight all summer.